Please note that you may not be able to take the Alabama State exemptions if you have not resided in Alabama for at least 730 days (2 years) prior to the filing of your bankruptcy. If the preceding renders you ineligible for any exemptions then the debtor is allowed to choose the federal exemptions. The homestead of every resident of this state, with the improvements and appurtenances, not exceeding in value $ 5,000 and in area 160 acres, shall be, to the extent of any interest he or she may have therein, whether a fee or less estate or whether held in common or in severalty, exempt from levy and sale under execution or other process for the collection of debts during his or her life and occupancy and, if he or she leaves surviving him or her a spouse and a minor child, or children, or either, during the life of the surviving spouse and minority of the child, or children, but the area of the homestead shall not be enlarged by reason of any encumbrance thereon or of the character of the estate or interest owned therein by him or her. When a husband and wife jointly own a homestead each is entitled to claim separately the exemption provided herein, to the same extent and value as an unmarried individual. For purposes of this section and Sections 6-10-38 and 6-10-40, a mobile home or similar dwelling if the principal place of residence of the individual claiming the exemption shall be deemed to be a homestead. The value of the state homestead exemption is reduced by any addition to the value brought about on account of a disposition of nonexempt property made by the debtor (made with the intent to hinder, delay, or defraud creditors) during the 10 years prior to the bankruptcy filing. the debtor owes a debt arising from a violation of federal or state securities laws, fiduciary fraud, racketeering, or crimes or intentional torts that caused serious bodily injury or death in the preceeding 5 years. NOTE: This limitation is inapplicable if the homestead property is "reasonably necessary for the support of the debtor and any dependent of the debtor." In favor of any resident of this state, there shall also be exempt from levy and sale, under execution or other process, any lot or lots in cemeteries or elsewhere, set apart or used as a burial place for himself or herself or family and any pew or seat in any church or other place of worship, held and occupied by him or her for the use of himself or herself or family. The personal property of such resident, except for wages, salaries, or other compensation, to the extent of the resident's interest therein, to the amount of $ 3,000 in value, to be selected by him or her, and, in addition thereto, all necessary and proper wearing apparel for himself or herself and family, all family portraits or pictures and all books used in the family shall also be exempt from levy and sale under execution or other process for the collection of debts. No wages, salaries, or other compensation shall be exempt except as provided in Section 5-19-15 or Section 6-10-7. (a) The wages, salaries, or other compensation of laborers or employees, residents of this state, for personal services, shall be exempt from levy under writs of garnishment or other process for the collection of debts contracted or judgments entered in tort in an amount equal to 75 percent of such wages, salaries, or other compensation due or to become due to such laborers or employees, and the levy as to such percentage of their wages, salaries, or other compensation shall be void. The court issuing the writ or levy shall show thereon the amount of the claim of the plaintiff and the court costs in the proceedings. If at any time during the pendency of the proceedings in the court a judgment is entered for a different amount, then the court shall notify the garnishee of the correct amount due by the defendant under the writ or levy. The garnishee shall retain 25 percent of the wages, salaries, or other compensation of the laborer or employee during the period of time as is necessary to accumulate a sum equal to the amount shown as due by the court on the writ or levy. Should the employment of the defendant for any reason be terminated with the garnishee, then the garnishee shall not later than 15 days after the termination of employment, report the termination to the court and pay into court all sums withheld from the defendant's wages, salaries, or other compensation. If the plaintiff in garnishment contests the answer of the garnishee, as now provided by law in such cases, and proves to the court the deficiency or untruth of the garnishee's answer, the court shall enter judgment against the garnishee for such amount as would have been subject to the order of condemnation had the sum not been released to the defendant. (b) The garnishee shall, after a period of 30 days from the first retention of any sum from the defendant's wages, salaries, or other compensation, commence paying the funds into court, as they are deducted or withheld and continue to do so on a monthly or more frequent basis until the full amount is withheld. Upon receipt by the court of a written request by the plaintiff, the court may enter an order of condemnation of said funds received and thereupon disburse the same to the plaintiff. If a policy of insurance, whether heretofore or hereafter issued, is effected by any person on his or her own life or on another life in favor of a person other than himself or herself or, except in cases of transfer with intent to defraud creditors, if a policy of life insurance is assigned or in any way made payable to any such person, the lawful beneficiary or assignee thereof, other than the insured or the person so effecting such insurance, or his or her executors or administrators, shall be entitled to its proceeds and avails against the creditors and representatives of the insured and of the person effecting the same, whether or not the right to change the beneficiary is reserved or permitted and whether or not the policy is made payable to the person whose life is insured if the beneficiary or assignee shall predecease such person; provided, that subject to the statute of limitations, the amount of any premiums for said insurance paid with intent to defraud creditors, with interest thereon, shall inure to their benefit from the proceeds of the policy; but the company issuing the policy shall be discharged of all liability thereon by payment of its proceeds in accordance with its terms unless, before such payment, the company shall have written notice, by or in behalf of a creditor, of a claim to recover for transfer made or premiums paid with intent to defraud creditors, with specifications of the amount claimed. A husband or a wife, in his or her own name or in the name of a trustee, may insure the life of his or her spouse for the benefit of himself or herself, or for the benefit of himself or herself and any child or children of the marriage; or a husband or a wife may insure his or her own life for the benefit of his or her spouse, or for the benefit of his or her spouse and children, or for the benefit of their children, either in the names of such children or in the name of a trustee; and such insurance and the proceeds and avails thereof, whether or not the right to change the beneficiary is reserved or permitted, is exempt from liability for the debts or engagements of the insured, or for the torts of the insured, or for any penalty or damages recoverable of the insured. In cases instituted under the provisions of Title 11 of the United States Code entitled "Bankruptcy," there shall be exempt from the property of the estate of an individual debtor only that property and income which is exempt under the laws of the State of Alabama and under federal laws other than Subsection (d) of Section 522 of said Title 11 of the United States Code. (2) The amount by which the debtor's disposable earnings for that week exceed 30 times the federal minimum hourly wage in effect when payable. "Disposable earnings" means that part of the earnings of a debtor remaining after deduction of amounts required by law to be withheld, and disposable earnings shall not include periodic payments pursuant to a pension, retirement, or disability program. No execution or other legal process must be levied upon a growing or ungathered crop of any description except for the purpose of enforcing liens upon such crop for rent, advances, or labor as prescribed by law. All amounts paid or payable as public assistance to needy persons shall be exempt from any tax levied by the state or any subdivision thereof and shall be exempt from levy, garnishment, attachment or any other process whatsoever and shall be inalienable, and in the case of bankruptcy, shall not pass to the trustee or other person acting on behalf of the creditors of the recipient of public assistance. Any assignment, pledge or encumbrance of any right to benefits which are or may become due or payable under this chapter, except as is provided by this chapter, shall be void, and such rights to benefits shall be exempt from levy, execution, attachment or any other remedy whatsoever provided for the collection of debts. Any waiver of any exemption herein provided, unless expressly permitted by this section, shall be void. The proceeds or avails of all contracts or disability insurance and of provisions providing benefits on account of the insured's disability which are supplemental to life insurance or annuity contracts, heretofore or hereafter effected, shall be exempt from all liability for any debt of the insured and from any debt of the beneficiary existing at the time the proceeds are made available for his use. The exemption of income benefits payable as the result of disability shall not exceed an average of $ 250.00 of such benefits per month of the period of disability. No money or other benefit, charity, relief or aid to be paid, provided or rendered by any society shall be liable to attachment, garnishment or other process or to be seized, taken, appropriated or applied by any legal or equitable process or operation of law to pay any debt or liability of a member or beneficiary, or any other person who may have a right thereunder, either before or after payment by the society. The right of a person to a pension; an annuity, or a retirement allowance; to the return of contributions; the pension, annuity or retirement allowance itself; any optional benefit or any other right accrued or accruing to any person under the provisions of this chapter; and the moneys in the various funds created by this chapter are hereby exempt from any state or municipal tax and exempt from levy and sale, garnishment, attachment or any other process whatsoever, and shall be unassignable except as in this chapter specifically otherwise provided. The right of a person to a pension, an annuity, a retirement allowance or to the return of contributions, the pension, annuity or retirement allowance itself and any optional benefit or any other right accrued or accruing to any person under the provisions of this article and the moneys in the various funds created by this chapter are hereby exempt from any state or municipal tax and exempt from levy and sale, garnishment, attachment or any other process whatsoever and shall be unassignable except as in this article specifically otherwise provided. None of the moneys referred to in this article or any benefit or annuity payable under this article shall be subject to attachment, garnishment or judgment entered against any member or any beneficiary entitled to receive the same nor shall any such be assignable. All payments of such annuities and benefits shall be paid directly to the member or to the beneficiary provided for in this article. Note: Laws may have changed since this page was last updated. 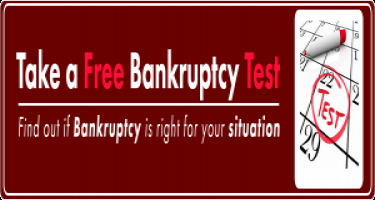 Below are links to the Alabama exemptions for property when filing a bankruptcy. Article 1 Exemptions From Levy and Sale Under Process. Section 6-10-1 Law governing exemptions and claims. Section 6-10-2 Homestead exemption - Amount; area. Section 6-10-3 Homestead exemption - Alienation by married person. Section 6-10-4 Homestead exemption - Liens not affected. Section 6-10-5 Burial place and church pew or seat. Section 6-10-7 Wages, salaries or other compensation of laborers or employees for personal services. Section 6-10-8 Rights of beneficiaries and assignees under life insurance policies. Section 6-10-10 County and municipal property. Section 6-10-11 Exemptions in federal bankruptcy. Division 2 Claim and Contest of Exemptions. Section 6-10-20 Declaration of claimed exemptions - Making and filing. Section 6-10-21 Declaration of claimed exemptions - Recordation; receipt; certified copies. Section 6-10-22 Declaration of claimed exemptions - Fees for filing, etc. Section 6-10-23 Declaration of claimed exemptions - Effect as evidence and notice. Section 6-10-24 Declaration of claimed exemptions - Effect of waiver or contest. Section 6-10-25 Declaration of claimed exemptions - Contesting of claims. Section 6-10-26 Claim of exemption after levy and prior to sale; contesting of such claim. Section 6-10-27 Contest of exemption claim - Delivery of personalty to defendant upon executing bond; proceedings when bond not forthcoming. Section 6-10-28 Contest of exemption claim - Return of levying officer. Section 6-10-29 Contest of exemption claim - Filing of inventory by defendant; effect of failure to file. Section 6-10-30 Contest of exemption claim - Trial of issues. Section 6-10-31 Contest of exemption claim - Trial by jury in probate court. Section 6-10-32 Contest of exemption claim - Judgment. Section 6-10-33 Contest of exemption claim - Proceedings when claim of personalty found excessive. Section 6-10-34 Contest of exemption claim - Proceedings when inventory discloses personalty not embraced by claim of exemption. Section 6-10-35 Contest of exemption claim - Tender of issue by plaintiff on inventory filed by defendant; determination thereof. Section 6-10-36 Contest of exemption claim - Assessment of value of property and damages resulting from detention on bond; judgment and execution on bond. Section 6-10-37 Contest of exemption claim - Garnishment of money, choses in action or personal property. Section 6-10-38 Contest of exemption claim - Proceedings when homestead found to exceed value or area allowed. Section 6-10-39 Interposition of homestead claim or other exemptions and defense of contest thereof by spouse or minor children. Section 6-10-40 Sale of land and separation of homestead interest from that of alienee. Section 6-10-41 Effect of leaving homestead temporarily or leasing same. Section 6-10-42 When no action lies against officer levying on exempt property. Section 6-10-43 Effect of contest on sale of property and lien thereon. Article 2 Exemptions from Administration and Payment of Debts. Section 6-10-67 Right to use of property before such set apart and to commence or defend actions thereon. Division 2 Setting Apart Exemptions to Surviving Spouse and Minor Children. Section 6-10-80 Appraisers - Issuance of commission. Section 6-10-81 Appraisers - Duty to set apart exempt personal property; return of report. Section 6-10-82 Appraisers - Report of homestead appraisement. Section 6-10-83 Proceedings to set apart homestead when same exceeds value allowed. Section 6-10-84 Proceedings on failure of appraisers to set apart exemptions or to appraise homestead. Section 6-10-85 How exemption in lieu of homestead claimed and set apart. Section 6-10-86 Report of appraisers or commissioners - Exceptions; notice of time set for hearing thereon. Section 6-10-87 Report of appraisers or commissioners - Notice to next of kin of decedent of date set for hearing of report on exemptions. Section 6-10-88 Report of appraisers or commissioners - Hearing and determination on exceptions; proceedings when exemption of personalty excessive or insufficient. Section 6-10-89 Report of appraisers or commissioners - Proceedings when report set aside. Section 6-10-90 Report of appraisers or commissioners - Taxation of cost on exceptions being filed. Section 6-10-91 Report of appraisers or commissioners - Appeal from decree on exceptions. Section 6-10-92 Exceptions to report of appraisers that homestead does not exceed allowance. Section 6-10-93 Confirmation of reports when no exceptions filed. Section 6-10-94 Reduced homestead incapable of allotment - Possession by surviving spouse and minor children until sold, etc. Section 6-10-95 Reduced homestead incapable of allotment - Sale - When allowed. Section 6-10-96 Reduced homestead incapable of allotment - Sale - Proof of facts; order and notice; terms; application of proceeds. Section 6-10-97 Reduced homestead incapable of allotment - Sale - Proceedings when no bid in excess of $6,000 received. Section 6-10-98 Reduced homestead incapable of allotment - Sale - Purchase by persons entitled to homestead exemption. Section 6-10-99 Payment by devisees to clear property of homestead right. Section 6-10-100 Proceedings to set apart exemptions when administration not granted on decedent's estate within 60 days after death - Generally. Section 6-10-101 Proceedings to set apart exemptions when administration not granted on decedent's estate within 60 days after death - Vesting of title to real property in surviving spouse and minors and right to possession thereof. Section 6-10-102 Effect of removal from homestead. Section 6-10-103 Commissioners - Qualifications; oath. Section 6-10-104 Commissioners - Compensation. Section 6-10-105 Recordation of judgments allotting homestead exemptions; fee therefor. Section 6-10-106 Proceedings to set aside exemptions when husband, wife or parent absent seven years and residence not ascertainable - Generally. Section 6-10-107 Proceedings to set aside exemptions when husband, wife or parent absent seven years and residence not ascertainable - Vesting for life of title to property in deserted spouse or minors. Article 3 Waiver of Right to Exemptions. Section 6-10-120 Right to waive. Section 6-10-121 How made - Personalty. Section 6-10-122 How made - Homestead. Section 6-10-123 Enforcement in action. Section 6-10-124 Attachment - Endorsement on writ. Section 6-10-125 Attachment - Proceedings when waiver not sustained.